Grab A Seat In The Studio With The Miles Davis Quintet Freedom Jazz Dance, a new collection of outtakes from the Miles Smiles and Nefertiti sessions, shows us Davis as a productive professional — a contrast to the tortured genius seen on film lately. Freedom Jazz Dance: The Bootleg Series Vol. 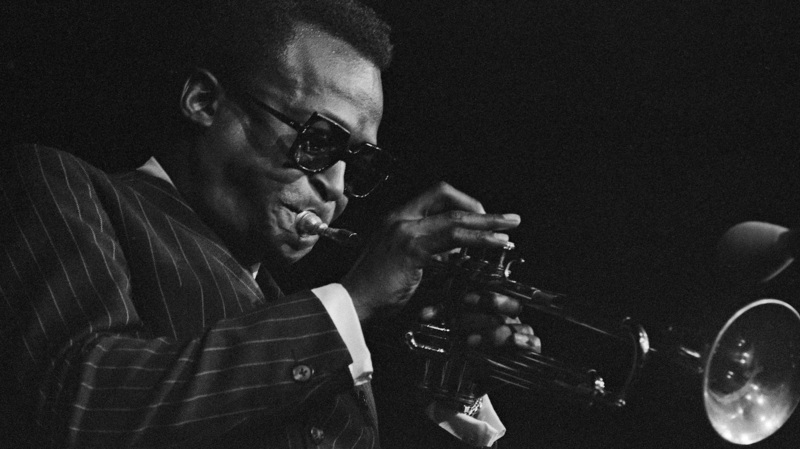 5 provides listeners rare access to the Miles Davis Quintet's creative process. Music historians, biographers and diehard fans have always had a keen interest in session reels, the unedited studio banter and outtakes from recording sessions. With the release of Freedom Jazz Dance, the fifth volume of Miles Davis' The Bootleg Series, avid listeners will have access to over two hours of previously unreleased recordings — including dialogue from studio sessions. When I first got my hands on the Miles Davis Quintet's session reels, I felt like I'd walked right into their studio and taken a seat in the sound booth. These reels are access to the insular world of Davis and his sidemen: how they joked, collaborated and worked. There are even scenes of discovery. One track gives a glimpse of the quintet rehearsing Wayne Shorter's "Nefertiti" in 1967. Davis, laughing, offers an idea: "Hey man, why don't we make a tune just playin' the melody, not play the solos." He's met by laughter from the whole room. At the time, this band always improvised solos; solos developed a melody and gave it drama. But instead, there's a collective realization here that the horns should simply repeat the melody. That repetition created dramatic tension, and meanwhile the spectacular drumming developed the tune. Freedom Jazz Dance gives us this decisive moment of creation — and so much else. In another recording, Davis and pianist Herbie Hancock are working on the tune "Circle." Miles grumbles a little at the recording engineer, but mostly what I hear is camaraderie and diligence. This is Davis as a productive professional rather than the tortured genius we've seen on film lately. Whatever demons may have haunted him, this album reminds us that he was also an engaging bandleader who worked hard at his music. Freedom Jazz Dance isn't for everyone. With its false starts, sometimes barely intelligible dialogue, and sheer length — three full CDs of material! — some might see the album as merely of academic or historical interest. What this album does offer is the unfiltered creative process of one of jazz's greatest bands, a sense of how the musicians understood and evolved their art. Freedom Jazz Dance's session reels are nonfiction scenes from an important era in Miles Davis's musical life — and if we listen closely, the album gives us just enough information to compose the rest of the story ourselves.